Responding to popular demand for a park across from the Basilica of St. Lawrence and the Asheville Civic Center, Asheville’s City Council initiated a process in autumn of 2017, issuing a Request for Proposals to landscape architectural firms. Nelson Byrd Woltz, an internationally acclaimed firm won the bid. Though they are headquartered in NYC, two of their architects are from Asheville and Waynesville—in fact, one spent his adolescence living in a condominium overlooking the park site. We formed the People’s Park Foundation to do everything we can to facilitate creation of a beautiful public space on this site, and to ensure funding of operation and maintenance into the future. Our overarching goal is to pay for design and construction via private donations and grants. Twenty percent of all donations will be set aside for long term maintenance of the park. A majority of the people of Asheville have insisted over and over again that they want to see a park established on the City-owned land opposite the Basilica of St. Lawrence and the Civic Center. 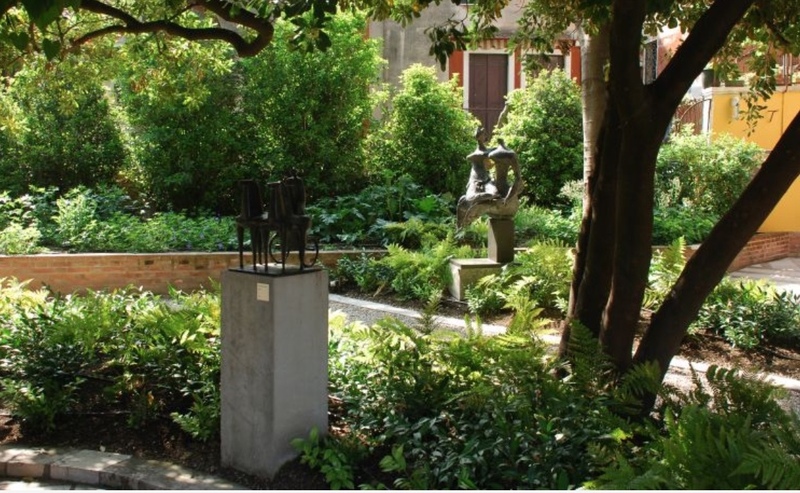 Greenacre Park in NYC is only 1/7 of an acre, but offers a restful break from urban hubbub. We’re glad you’re here. We want your input. Use the contact link to make suggestions for events. We want your participation. And, of course, we’d welcome your dollars. PPF is a 501(c)3 nonprofit organization and all donations are tax deductible.